The aliens are bigger than us. The aliens are smarter than us. The aliens will never give up. 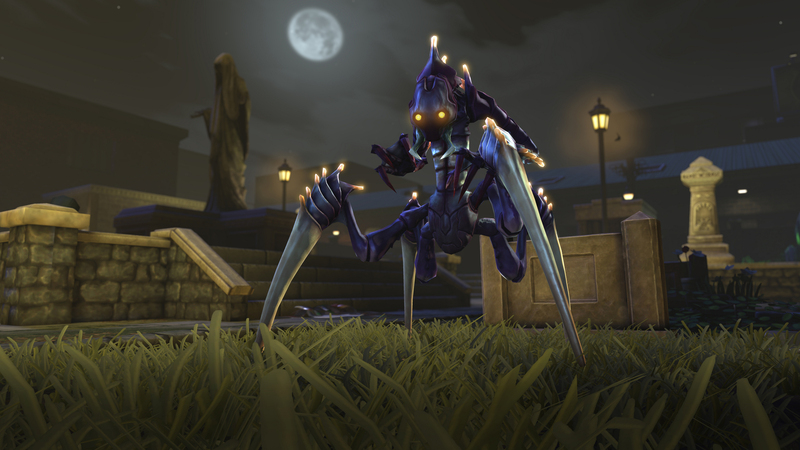 Just like its 1994 predecessor, XCOM: Enemy Unknown is punishingly hard. Every decision is fraught with meaning. At its most obvious, alien abductions will often happen simultaneously on three different continents. Your continent-crossing Skyranger can only reach one group in time. You want more scientists for research, so Japan seems like an obvious choice. But more engineers from the US will mean cheaper manufacturing and the new carapace armour could be the difference between life and death for your soldiers. Nigeria are offering cold, hard cash which would let you build that new satellite uplink to monitor countries in Africa. America and Africa are both on the verge of pulling out of the XCOM initiative completely. Who do you save? Assuming, of course, that you can save anyone. A series of poor strategic choices on my first playthrough left my soldiers hopelessly underpowered. Thanks to my getting rather gun-happy early in the game, we were out of alien alloys, one of the essential building materials that can only be acquired through looting a successful battlefield. The research team made a breakthrough with new types of armour but we no longer had the resources to build them. Without that extra protection, my soldiers suffered a series of one-hit kills from melee-focused berserkers or assault-gunning cyberdisks. 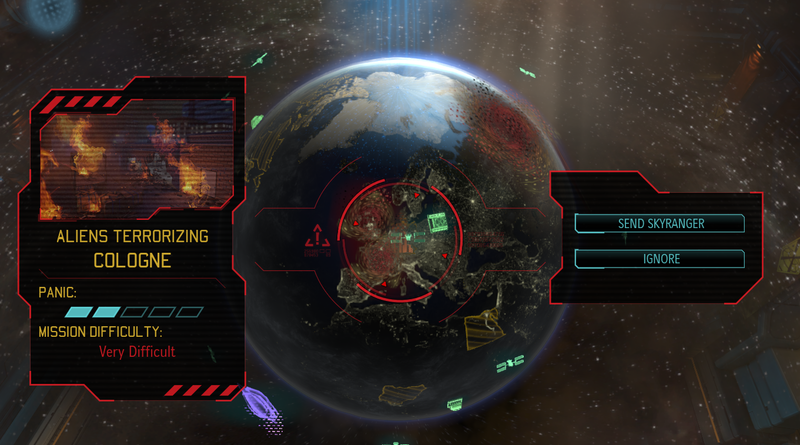 Missions became a tough call between bugging out to save a single soldier or sending her around that corner to maybe get a lucky shot on that (hopefully) final alien. It was rarely a final alien and no matter which decision I made, we returned with nothing. The whole game became a repetitive meatgrinder of fresh rookies. The basic mechanics haven’t changed since my original XCOM hands-on back in May. I didn’t manage to find any multiplayer matches for this pre-release review but again, the details are covered my multiplayer preview. In playing the full offline campaign, it struck me just how big this game is. I’ve played for maybe 20 hours now and seen only one map appear twice. Even then, the difference in enemies and mission types made it feel completely different. Early on in the game, you’ll mostly encounter the soft squashy enemies – the aptly-named Thin Men and the ooidal-headed sectoids. Thin Men spit poison from a long range and are a mean shot, so you basically hunker down and try to flank both these enemy types. Berserkers, however, will run right up to you and pound your soldiers into oblivion. Even on your turn, if one of your soldiers injures one, it will move a few steps towards that soldier. The very same map needs a vastly different approach as you try to destroy the berserker while not leaving any of your team vulnerable. Different missions need different approaches as well. Occasionally you’ll learn that the aliens are setting off a bomb. Jump in and you have only three turns to move before the bomb explodes, but now the map is littered with alien power sources that can buy you more time as well as providing extra half-cover to hide behind. Or you’ll have to save a VIP. Now you need to be much more conservative about destroying the enemy’s cover because you’ll probably want to hide behind that same tree while escorting the VIP back to the Skyranger. Every step requires a tailored approach and there are always more aliens that you think. You don’t even want to think about what happens when the chryssalids turn up. Now imagine these maps but with a hard limit of 2 minutes per turn and a human controlling the opposing team. 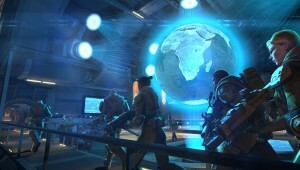 That’s XCOM multiplayer. My second campaign playthrough went better. This time, I changed my laser-like focus on research and actually paid attention to the wider geopolitical landscape. The key here is satellites. They’re expensive and time-consuming but deliver great benefits to the long game. Not only will greater satellite coverage give you more money each month, you’ll track more UFOs. Shoot them down and you get easier missions, which gives your recruits more experience and, in turn, gives them (and you) more abilities and firepower in the field. Everything is connected. Nobody is expendable. Watching your soldiers die in the field is crushing. 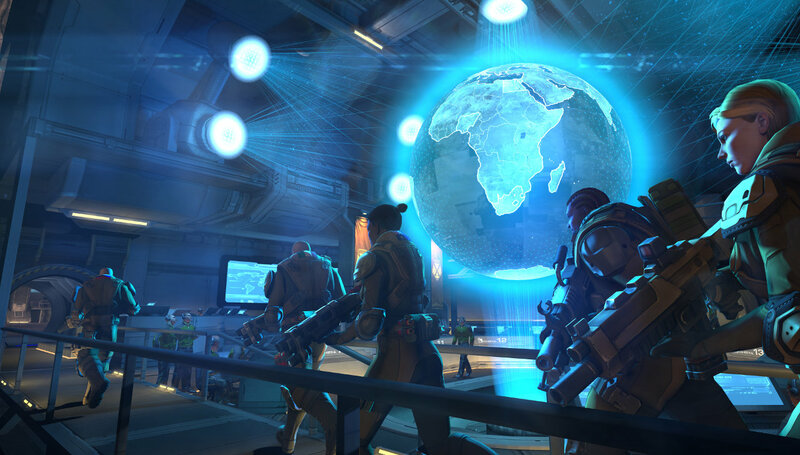 Firaxis have really excelled themselves in making the XCOM headquarters seem like an intimate team. Lead designer Jake Solomon made sure that the characters are a mix of all nations and women are just as likely to be recruited as men. The ant-farm view is beautiful and incredibly detailed – change the hair colour of your team and that’s instantly reflected in the soldiers running on the barracks’ treadmills. Yes, there are some obvious texture pops elsewhere in the game but it really doesn’t matter. The smoky fires of a UFO forest crash site or the harsh lighting and frustrating shadows of an urban construction yard map more than make up for it. Before every mission, your chosen soldiers line up in front of the Skyranger for inspection. Armour and weapons are on display so you can see at a glance who has the state-of-the-art plasma pistol and who is stuck with crappy old assault rifle. Once a soldier kills enough aliens, they earn themselves a nickname, also displayed alongside their rank and specialisation. It’s an excellent bit of design and really serves to underline that you’re sending people out to die. That’s not “the medic”, it’s Lt. Sarah “Cookie” Anderson and by god, she has earned the right to wear the one bit of carapace armour that we can afford. Promoted soldiers unlock extra tiers in the officer training school. Have a soldier reach a certain rank and you can pay to unlock a fifth slot in your team. Reach a higher rank and you unlock a sixth. Lose your best soldiers and you keep the extra slot but you’re starting over with rookies. It’s not just death you need to worry about. Even critical injuries have a permanent effect on the “will” of your soldiers. 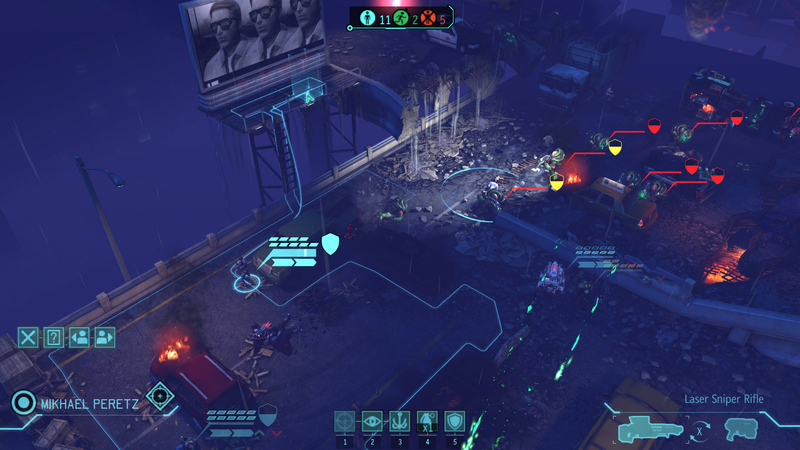 Rookies and other members of your team with a low will score are far more liable to panic at the sight of a Muton or the grisly death of your forward scout. Panicking teammates are probably more destructive than the aliens themselves. Every once in a while you’ll get lucky and they’ll shoot down that advancing Chryssalid. More often than not they’ll turn on another member of your squad or run into a vulnerable position and die horribly, setting another soldier into panic. They’re immensely frustrating but at the same time, you have only yourself to blame. XCOM: Enemy Unknown perfectly captures this sense of responsibility. You’re just one general pitted against a overwhelming alien force. You don’t know what they want, you don’t know what they can do and you’re always scrambling to catch up. All your decisions have consequences and all those consequences are the direct result of your decisions. Slowly, you’ll learn. You’ll do better. It’s just a matter of time before you’ll amass enough technology and firepower to burn that alien base to ash. Boy will they regret ever coming to Earth. 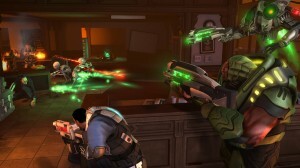 XCOM: Enemy Unknown will be released on 12th October for PC, Xbox 360 and PlayStation 3. The demo is available now on Steam. Pingback: XCOM: Enemy Unknown reviews get all the scores here | Gaming R.S.S.